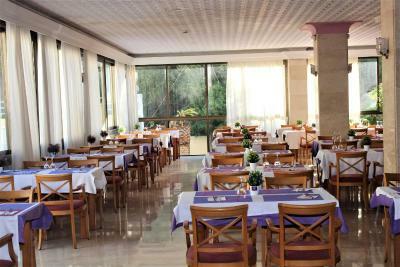 Friendly staff, nice hotel with big outside pool, delicious brekfast. Good location near beach. Hotel is apparently focused on elderly visitors and there was very loud party with terrible song till the night. 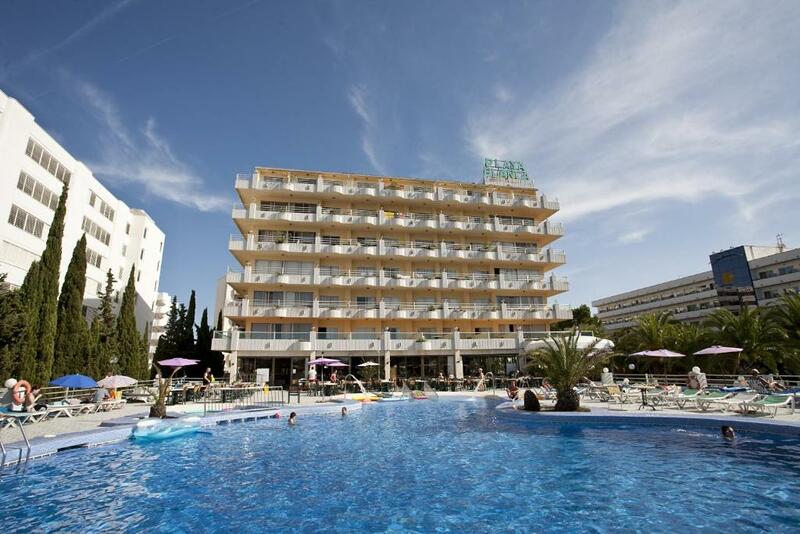 Room price was one of the cheapest at Mallorca. So, considering that we only slept in the hotel and all the time were out, it was OK to accept some issues with the hotel. The pastries were by far the best part of the food. Food very good, staff very friendly, happy family atmosphere. Hubby and I enjoyed our stay. 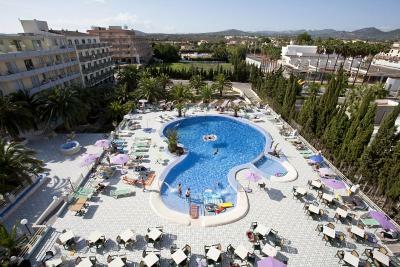 Hotel Playa Blanca This rating is a reflection of how the property compares to the industry standard when it comes to price, facilities and services available. It's based on a self-evaluation by the property. Use this rating to help choose your stay! 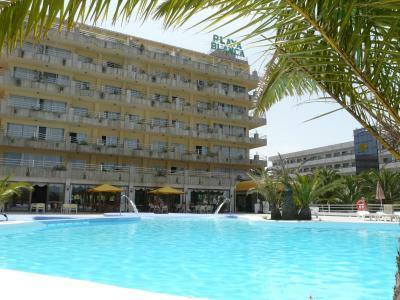 This comfortable hotel is located in the fishing village of S'Illot. 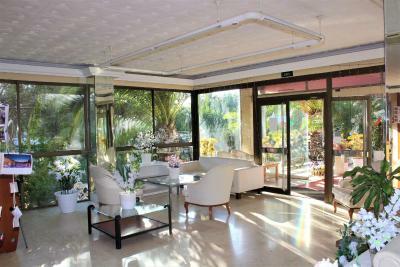 It offers an indoor and seasonal outdoor pool, mini-golf course and a small gym, 650 feet from Sa Coma Beach. Rooms at Playa Blanca are equipped with a TV and complete with a private bathroom fitted with a bath. A safe, fan and fridge are available for a surcharge. Certain rooms come with a balcony. 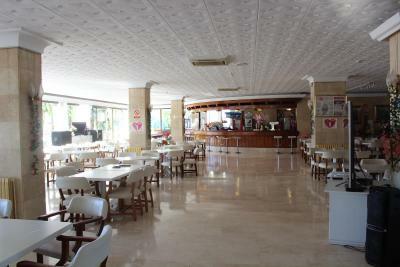 The hotel’s air-conditioned buffet restaurant serves a daily breakfast. 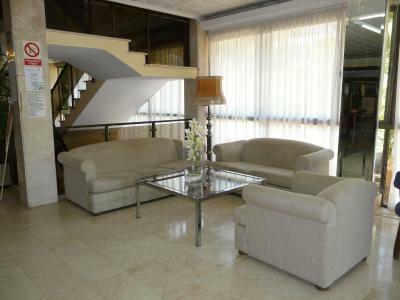 There is also a bar, a TV lounge, computers and a furnished terrace. The pool area has loungers and hammocks and there are also ping-pong and pool tables. 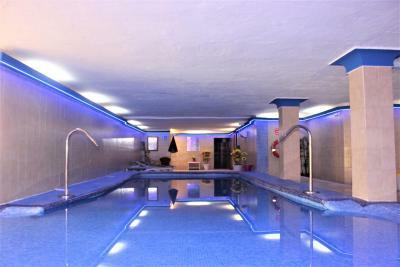 The gym, located in the basement, includes a sauna. Free public parking is available close to the hotel, which offers car and bike rental, tourist information and currency exchange service. 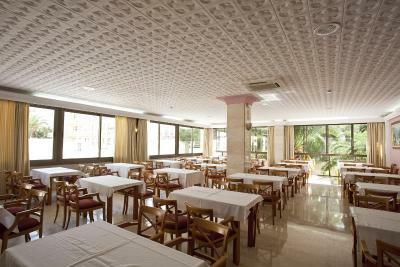 The nearest airport is Palma de Mallorca Airport, 34 mi from Hotel Playa Blanca. 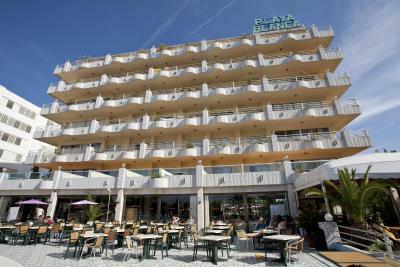 When would you like to stay at Hotel Playa Blanca? This simple, bright room has functional decor and includes a balcony with scenic views. A private bathroom is featured and a safe, TV and mini-bar can be rented. House Rules Hotel Playa Blanca takes special requests – add in the next step! 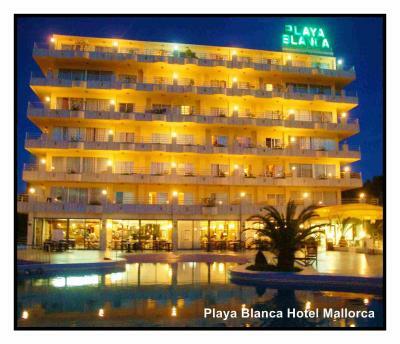 Hotel Playa Blanca accepts these cards and reserves the right to temporarily hold an amount prior to arrival. Please note that a fan can be hired for EUR 15 per week. Please note that the accommodations will not serve food outside theses times. Please note that guests under 18 years are only allowed to stay in the property if accompanied by a parent or legal guardian. Pavement from the street to the hotel door. The worst hotel I have even been. Everything is decorated with tasteless plastic flowers and pictures of the owner at every corner. Very obsolete rooms with terrible bathrooms. We had problem with shower upon our arrival but we could not solve it because there is only one English speaking guy among all staff. It tooks as two hours to get another room. I liked everything but maybe the pool could have been better taken care of (there are two pools one outside and one inside but the one inside seemed not to be that used at that time). The hotel is made to look very tacky by hundreds of artificial flowers. It is dated and in need of a thorough clean. Rooms desperately need renovation. Smell in the rooms was too strong. Karaoke concept of the hotel is a bit confusing. Loudly and unprofessionaly sinning old people is not what you want to experience when sitting on a terrace and drinking wine in the evening. -Bad english -not enough choice of food, not tasty food; - bathroom stinks; -dirty. Hygiene and cleanliness left a lot to be desired, especially in the dining area.